The latest RED C Consumer Mood Monitor from June 2018 shows a significant decline in consumer outlook for the Irish Economy. 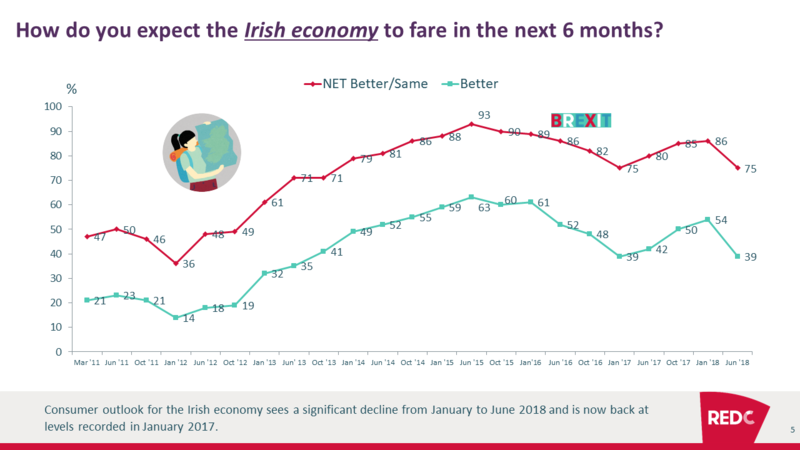 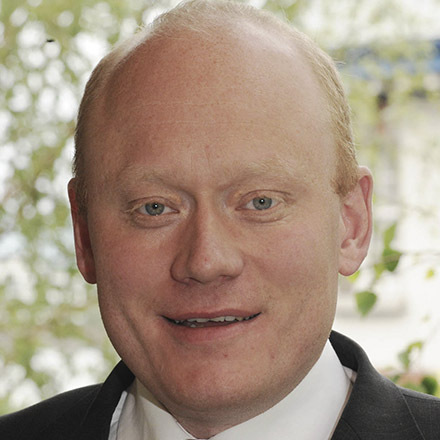 2 in 5 expect the economy to improve in the next 6 months, with 1 in 4 expecting the economy to fare worse. The decline in consumer outlook is driven by concerns about the World Economy due to Brexit and a possible trade war between the EU and USA. 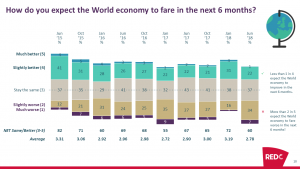 More than 2 in 5 expect the World Economy to fare worse in the next 6 months. 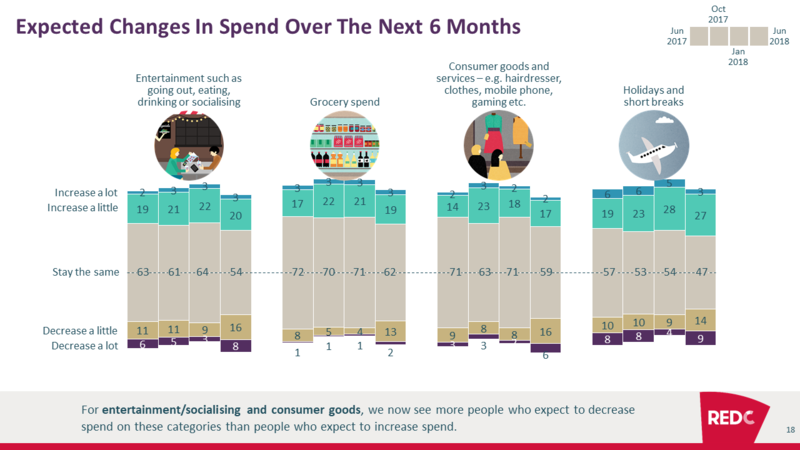 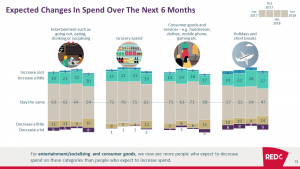 The lower consumer confidence has a negative impact on spend intentions in the next 6 months, especially for entertainment/socialising and consumer goods.